What: The Crush face their first United Conference opponent when they host the Nighthawks. When: Friday, April 21, 6 p.m. (PST). 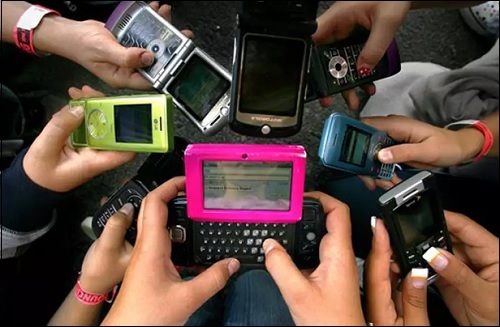 This Season: June 10 - Crush at Nighthawks. Note: The Crush are the fifth of five Intense Conference teams the Nighthawks will have played this season. The Nighthawks are 7-1 overall, 1-3 on the road and 4-0 in inter-conference play. Wichita Falls is coming off an 81-52 home win over the Cedar Rapids Titans on April 14. They are averaging 54.1 points per game and are allowing 46.6 points per game. The Nighthawks are second in the United Conference. The Crush are 1-6 overall, 0-3 at home and 0-0 in inter-conference play. Colorado is coming off a 36-24 road loss to the Spokane Empire on April 14 road win over the Salt Lake Screaming Eagles on March 31. They are averaging 34.3 points per game and are allowing 53.9 points per game. The Crush are tied for fourth in the Intense Conference. The Nighthawks are on the heels of the Sioux Falls Storm, just a half game back of the Storm, who are 7-0. If not for a huge blunder by Wichita Falls in week 6 as it was blown out by the Storm, 55-21. Charles McCullum is the best in the league with 1,679 yards and 38 touchdowns. He is as good as it gets in the IFL at the quarterback position. He has gained 127 yards on the ground with five touchdowns. Tyler Williams paces the ground game with 197 rushing yards and seven scores. Williams can also be effective in the passing game, with 28 receptions for 177 yards and three touchdowns. The Nighthawks boast quite possibly the IFL's most talented group of receivers, which was boosted by the acquisition via trade of last season's IFL Offensive Player of the Year, Demarius Washington. He is a big target who played for the Crush last season. In his first appearance with the Nighthawks in a 81-52 win over the Cedar Rapids Titans last week, Washington had three catches for 28 yards and a touchdown. Jordan Jolly is having a monstrous season with 45 grabs for 566 yards and a dozen touchdowns. Phillip Barnett is an excellent complimentary piece to Jolly with 37 receptions for 293 yards and seven scores. Troy Evans is able to come up with big plays. It is a crowded receiving corps, but with a prolific passer such as McCullum, it works for the Nighthawks. Michael Carter, Kenny Walton and Neiko Conway lead a solid defense and are poised to disrupt the Crush's attack. Walter Thomas has the ability to get into the backfield and torment opposing quarterbacks. For the Nighthawks to steal this one in the Rocky Mountain State, they'll have to rely in the diversity of their passing game, of which they are definitely capable of doing. The Crush are getting better. Their record may not necessarily show it, but they are definitely getting better. They claimed their first win, 52-49, over the Salt Lake Screaming Eagles on March 31. 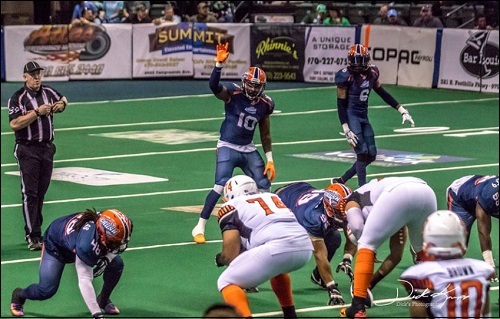 Last week, the fell to the Spokane Empire by just 12 points, 36-24. That tally tells us that had the Crush's offense could have put the ball into the end zone a couple more times, they could have rode out of Spokane with their second win of the season. Over the past two games, the Crush have averaged 38.0 points per game and given up 42.5. While it's been a bit of a bumpy road, Colorado has seemed to find their quarterback of the future -- or the quarterback of the season -- in Liam Nadler. The Crush struggled last week against an experienced Empire defense. The Nighthawks defense is stout, but not quite up to that level. 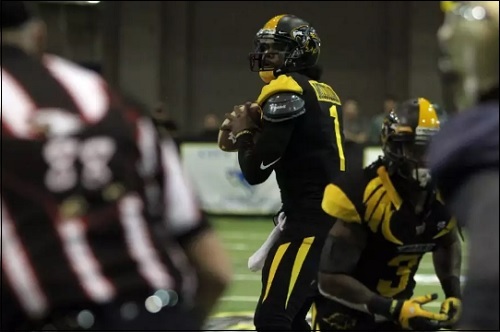 Wichita Falls nearly saw a second loss to their season on April 8 when they edged the Screaming Eagles 39-33. Salt Lake had appeared to tie the game at 39 apiece, but Verlon Reed's long touchdown to Devin Mahina was called back due to penalty; a flag questioned by several. Nadler is expected to start his fourth game under center. He has shown signs of leading his team to a couple of wins. The Crush are becoming more and more competitive and the insurgence of Nadler has been an important part of that. In just three games, he leads Colorado in passing yards and touchdowns. Goldrich will come back at some point and may have lost himself the starting job. Aaron Aiken could be on his way out when that happens. The Crush do not have a huge rushing game, but Josh Ford has appeared in every game and has 186 yards with a pair of touchdowns. He also is the third leading receiver on the team. Kyle Kaiser is the featured receiver and will have to shoulder the load. Tim Lukas should also figure into the passing game, as well as Lovie Rose III. Defensively, the Crush have forced just three turnovers -- all fumble recoveries -- this season. They have yet to have an interception against an opponent. That has hurt their ability to turn back opponents' offenses. Derrick Morgan and Cardelro Jones lead the team with 33 and 28 total tackles, respectively. Colorado has five sacks on the season, with seven players garnering at last a half sack. For the Crush to win, the will have to force turnovers and capitalize on their offensive drives. This could be the game where the Nadler solidifies his position as the team's starting quarterback going forward..
April 22 - Iowa Barnstormers (5-2) at Cedar Rapids Titans (1-7), 5:05 p.m.
April 22 - Sioux Falls Storm (7-0) at Green Bay Blizzard (2-6), 5:05 p.m.
April 22 - Salt Lake Screaming Eagles (1-6) at Nebraska Danger (4-4), 5:05 p.m.
April 22 - Spokane Empire (5-2) at Arizona Rattlers (4-3), 6 p.m.
Begining in just three weeks, the Crush will unleash their mobile application which will allow fans to call offensive plays. Their Project FANchise "brothers," the Salt Lake Screaming Eagles, have featured fan play calling all season. The first game in which fans will be able to call plays will be on May 7 against the Screaming Eagles in Loveland, Colorado. I'm not sold on Nadler personally, so I want to see a Goldrich return. I am curious to see how Nadler plays tonight though as if the Crush can pull off an upset (or even close to one) Nadler's case to keep the starting job will be increased. That's probably fair. I have a feeling this will be a close game. I'm checking into this game tonight. I've been told it should be a good one. I sure hope so. I fear that the Crush will be blown out though. And the game begins with a rouge! Is Jessica watching this?! I voted that the Nighthawks would score first and apparently I was right. The Crush IMO should have gone for 2. If ya make it, then it is a 7 point game but Coach Jefferson decided otherwise. Touchdown Crush. Zavier Steward 4 yard run. Spencer Groner kick failed. That looked like a nice drive by the Crush. How did that just happen? Terrible coverage. Touchdown Nighthawks. Troy Evans 24 yard pass from Charles McCulum. Rockne Belmonte kick.